After serving in the United States Navy during World War II, Brooks started his career in law enforcement as a Flagler County Deputy Sheriff for four years. He also served as Chief of Police for the City of Bunnell before being elected Sheriff. Bootleg buster Sheriff Homer Brooks made no mistake about where he stood on the issue of crime. Sheriff Brooks made it a mission to stamp-out bootleggers. He was adamantly opposed to crime in Flagler County and made sure that those on the wrong side of the law learned early what would and would not fly in his neck of the woods. Sheriff Brooks was elected for three consecutive terms to serve as Sheriff of Flagler County and during his time in office, the county continued to grow and evolve. Flagler saw the enhancement of transportation and travel to the community with the construction of interstate 95 and the installation of a traffic signal at the crossing of State Road 11 and U.S. Highway 1. Sheriff Brooks was in office when the contract was awarded for the new stockade in 1959 for $33,442 that would house county work prisoners. Sheriff Brooks actively participated in apprehending criminals and busting bootleggers in the county. In December 1958 he dealt with multiple murders related to the area’s cement plant hauling contract and teamsters union that made news in far-reaching media outlets like the Chicago Tribune. Sheriff Brooks dealt with major crimes, like the killing of George Jones by four men. However, the trial resulted in a shocking not guilty verdict. Sheriff Brooks also worked with the U.S. Treasury Department’s Jacksonville office to capture counterfeiters and rein in illegal liquor operations in the area. Other crimes ranged from petty crimes of shoplifting, gas stealing, cattle theft and youth offenders to burglaries. Brooks was always front and center in the fight against crime. During his tenure, Brooks was instrumental in hiring Flagler County’s first African-American deputy, Eugene Henry. Hailing from Mississippi, Henry was experienced in police work and assigned to patrol the "colored" section of Bunnell. A native of Flagler County, Sheriff Brooks was committed to service. He was President of the Rotary Club and Flagler Shrine Club and maintained membership in the Bunnell Masonic Lodge #200, the Eastern Star, American Legion, VFW and Florida Sheriffs Association. Family was also important to Sheriff Brooks who had no children of his own with his wife Mabel. The couple took in his nieces after the death of the girls’ parents. The newly formed family lived in the old jail for a year before moving into a home of their own in 1961. Often the entire family would assist in apprehending suspects. In at least one case, Sheriff Brooks had his wife and nieces help him catch a thief by leaving their valuables in plain sight on the beach, while he and his deputies watched and waited behind the sand dunes. Shortly after being elected and sworn in for his third term, the beloved Sheriff passed away suddenly on March 23, 1965 of a heart attack while leaving his office at the county courthouse in his patrol car. Two of his deputies noticed the accident and worked quickly to transport him to the Bunnell General Hospital where he was pronounced dead. He was laid to rest in his family’s plot located in Shady Rest Cemetery in Holly Hill, Florida. 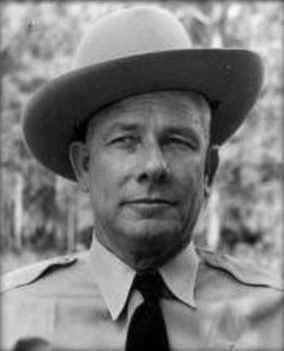 Sheriff Brooks was the second Sheriff of Flagler County to die while in office. 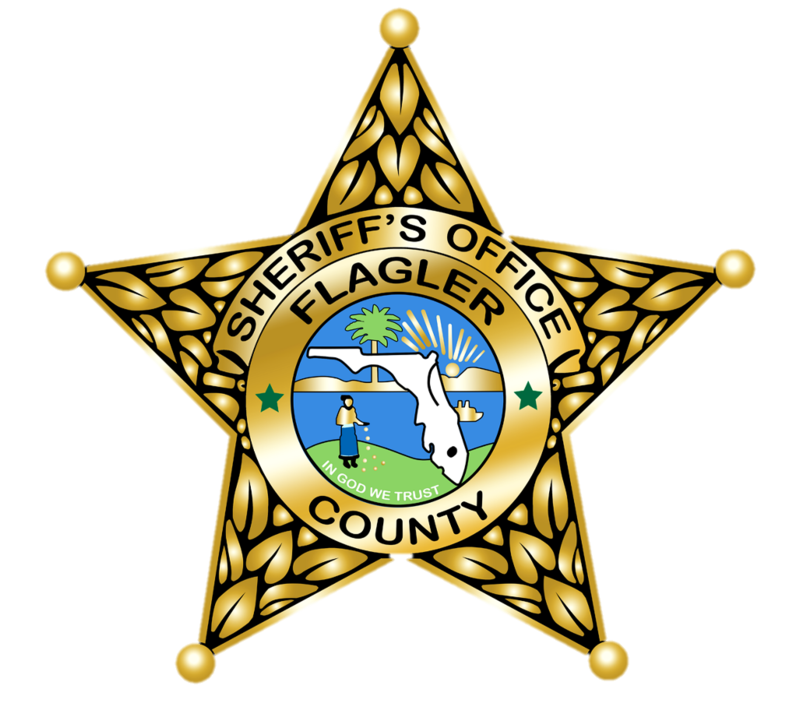 Today, his death would be considered a line-of-duty death and in 2016 his name was added to the Flagler County Sheriff's Law Enforcement Memorial recognizing Flagler County Sheriff's deputies and Sheriff’s who have died in the line of duty. The memorial is located at the Sheriff’s Operations Center in Bunnell.